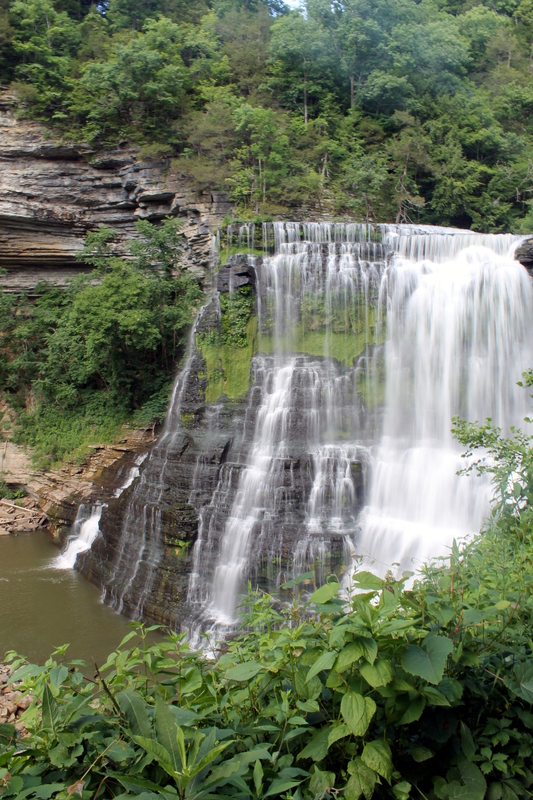 After visiting Rock Island State Park, we drove about a half hour to Burgess Falls State Park. 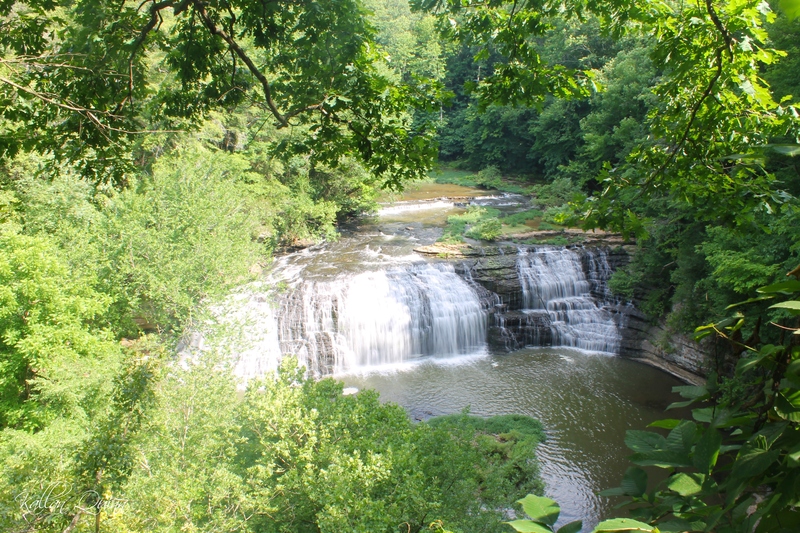 Burgess Falls is about an hour from Nashville, Tennessee. The thing that caught our eye about this park was that it has not one, not two, but three waterfalls located along one trail in the park. 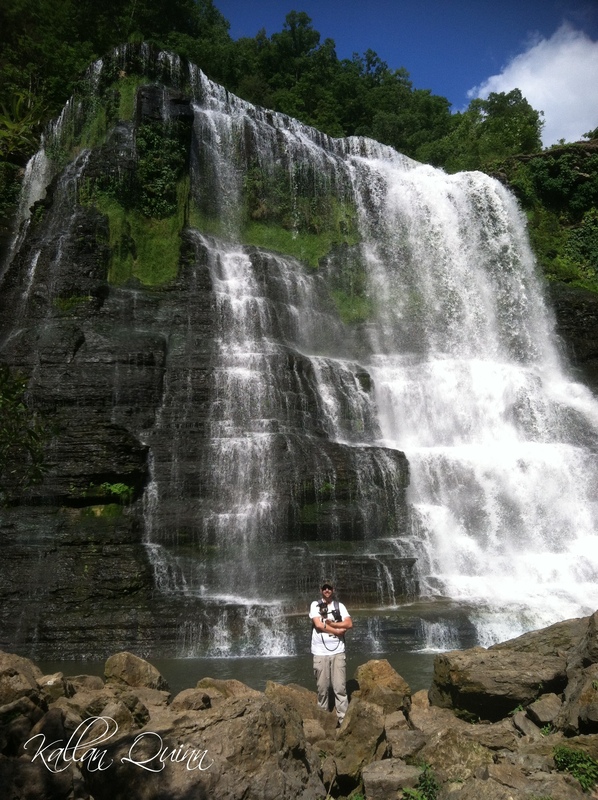 The Falling Water River drops over 250 feet creating this three spectacular waterfalls. 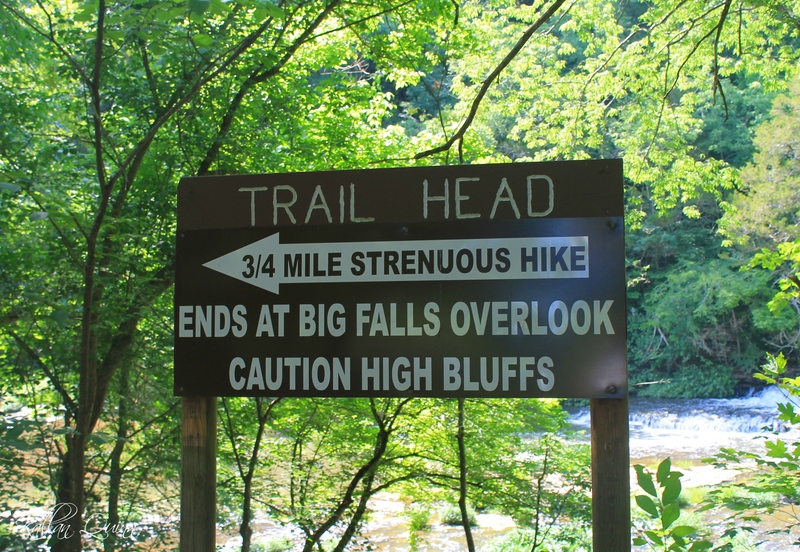 We started off by hiking the River Trail which leads to the First Falls, the Middle Falls and ends at the Big Falls. It is about a 1.5 mile round trip hike. The Big Falls are really neat and in size, they are very impressive waterfall. From here, you can either head back to the parking lot, or take the very strenuous trail down to the base of the waterfall. I highly recommend hiking down to the base. 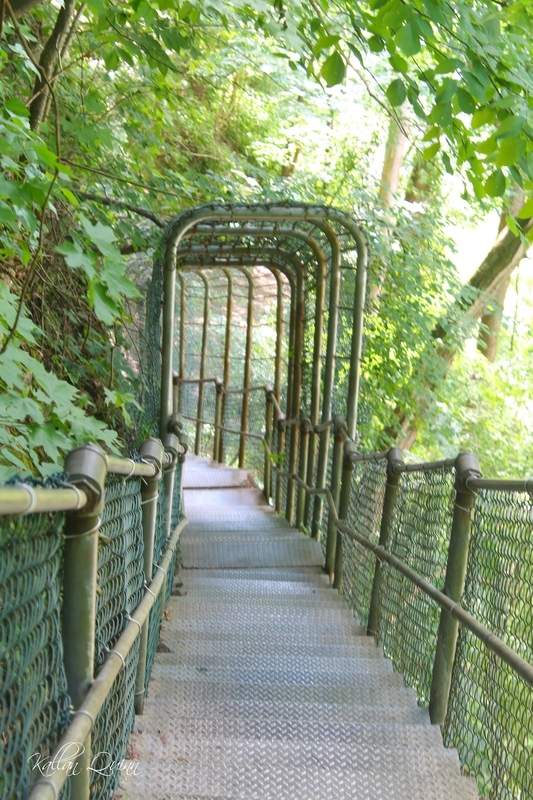 The hike down is fairly steep with lots of stairs and large rocks to climb around and over. At the bottom, the you can feel the mist coming off of the waterfall. I remember looking up and just feeling so small at the sheer size of this natural wonder. After hiking back up, we hiked the service road back to the parking lot since the main trail was fairly busy. This is a great park to visit that is not too far from Nashville.